Curly hair has been an on-trend hairstyle for the past couple of years. We’ve recently seen wavy locks as well as luscious curls on the runway shows this season. Whether you were blessed with naturally curly hair or you regularly go for a perm, let us introduce you to your new best friend; Curl Therapy. After heading to the salon to create curls and using hot tools for effortless waves, it’s about time you treated your locks to a nourishing, curl-enhancing formula. ‘Keeping your curls bouncy and full of body can be quite difficult, so it’s exciting to see a new formula on the market. Your curls should last all day long thanks to Curl Therapy’. 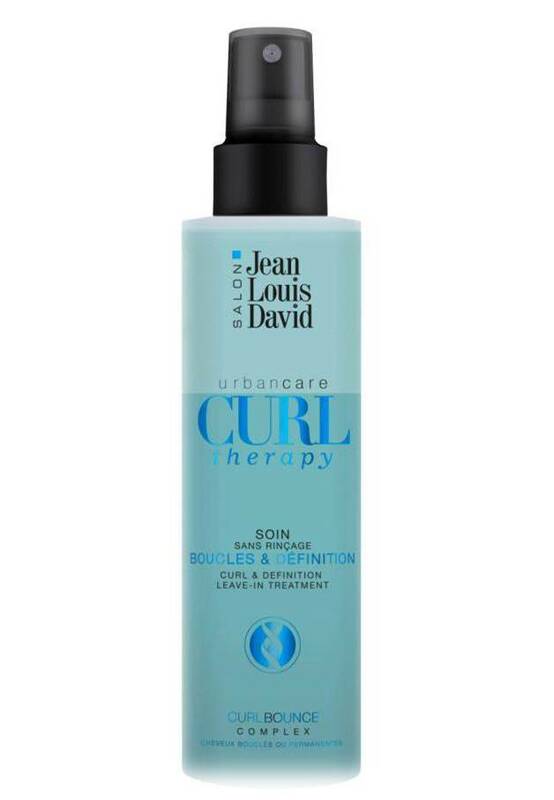 At Jean Louis David, we prefer to use a product which perfects your curls rather than a traditional haircare product. 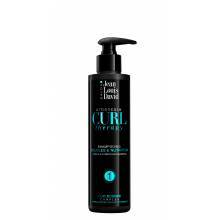 ‘Apply Curl Therapy after shampooing to deeply hydrate your locks and help maintain their round form. Spritz a few times to bring your curls to life. Remember, however, that Curl Therapy doesn’t guarantee a long-lasting hold, so make sure you use a fixing product, such as Perfect Curl, alongside Curl Therapy for optimum results’. Curl Therapy is specifically designed for curly hair, be it natural or not. ‘If you’re looking for a shine-enhancing product which softens hair and leaves it silky soft, this is the perfect choice. It also helps to eliminate flyaway hairs, ideal for drizzly weather. Pack into your handbag for on-the-go touch ups throughout the day’. Our advice: Apply Curl Therapy to damp hair, then style as normal. Its formula is paraben free and has a fresh, fruity fragrance that will beautifully scent your hair.